Lough Corrib shoreline at Birchall near Oughterard is a place of great beauty with an international name as a fishing center. Its character reflects the changing moods of the Connemara landscape, so appealing to artists and painters. The face it shows to its summer visitors of tranquil waters, profuse hedgerows and hazel thicket is far removed from the wild spendour of winter when north winds sweep across the open stretches of water from Cong to the Mayo border, or drenching south-westerlies winds swoop down from the hills overlooking Moycullen. No man has been more familiar with the many moods of the place than local farmer Mick Molloy who for twenty years now has daily set out from his home by the lakeshore to run along the roads in a continual search for the physical fitness and mental toughness required to match the best distance runners this country, or indeed any country, has to offer. Mick’s association with Derrydonell A.C. Strange to think that this man who has achieved Oympian Status in the marathon and set a world best time for 30miles on the track started off running sprints at local sports at Ross, Loughrea, Athenry and further a field later on in Clare, Limerick and Cork. Mick came to distance running comparatively late. “ I had my first Cross-country race in 1956 in a County Galway novice race. I finished 8th and I continued from there”. He joined Derrydonnell A.C. near Athenry, in 1957. His co runners at the time were Willie Morris, Tommy Madden and Kevin Ryan. After being “discovered” at Ross Sports his first major success was achieved when he won the Galway Senior Cross-country championship. 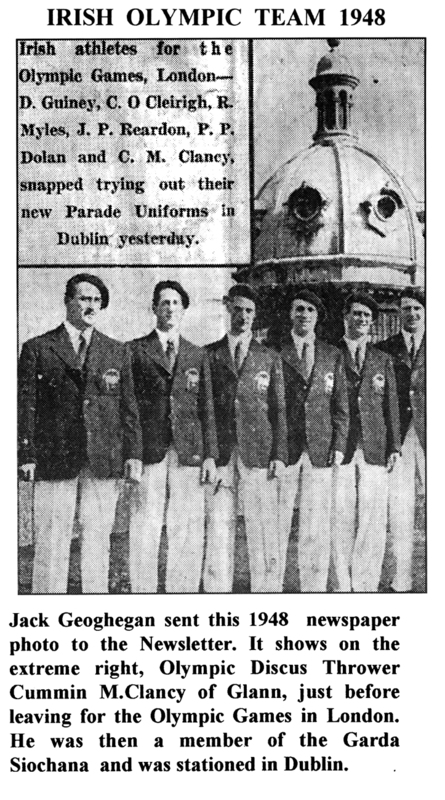 That same year he won his first National Title taking the 10mile track gold medal in Belfield (now University College Dublin Campus). From then on Mick set his sights high and aimed primarily at National titles, in particular the National Senior Cross-country, a target he duly achieved in gale-force wind conditions at Dromoland in 1966 leading Galway to its greatest team victory, the men in maroon taking all three individual medals and packing the other three scores close behind in 5th, 11th and 20th positions. That same year (1966) he was ‘on song’ and gathered the National 5,6,10, and 15miles and marathon titles and was awarded the Cuchulainn Trophy as N.A.C.A. athlete of the year. With the formation of B.L.E. in 1967 the majority of Irish athletes could at last aspire to International competition and Mick cast a cold eye on every runner’s wildest dream – Olympic representation – and decided that Mexico was the place to be in 1968. In spite of coming to the event with a ‘flu’ he won his first B.L.E. marathon and selection for the 19th Olympiad in Mexico City. Of all the many accolades and the great victories won in his career he has no doubt that this victory in the 1968 marathon was the high light of his running career. 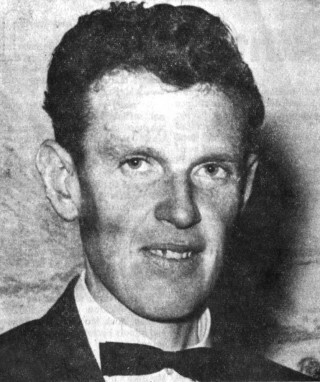 A lack of International experience left him very much a novice in a star studded Olympic marathon field but despite altitude conditions and the necessity of running the final twelve miles in his bare feet – one of his shoes came off and he threw off the other, he finished in 41st place in a field of 74 starters. The experience gathered during the six weeks sojourn in the Olympic village – meeting histories greatest athletes informally was a powerful catalyst for his future attitude to marathon training and racing. Weekly mileages were increased radically. His training at this time was approximately 150 miles per week – two sessions daily morning and night plus about 20 miles on Sunday. “No I haven’t missed a day’s training for six years not even Christmas Day or Easter Sunday. They’re all the same to me”. This statement is matter of fact. No one can accuse Mick of boastfulness. 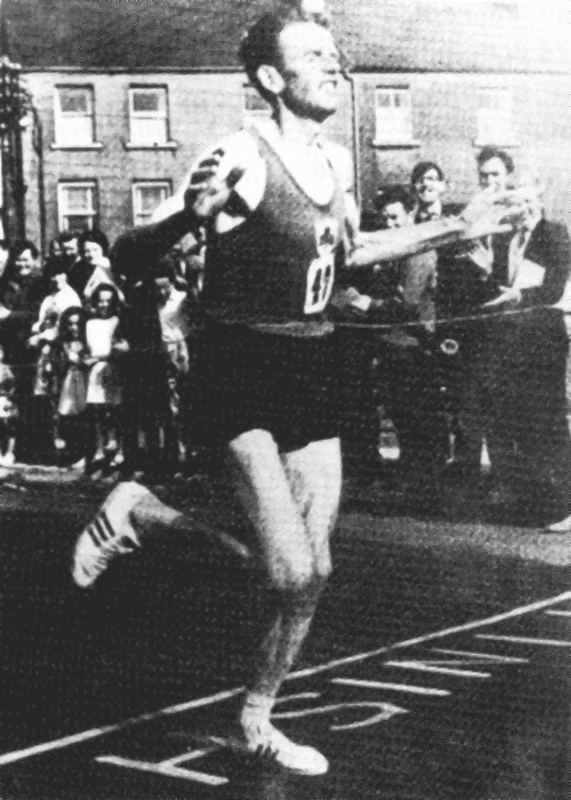 He represented Ireland in the International World Cross-country in Tunisia in 1969. For this achievement he was awarded “Athlete of the Month” (September) in the National Dairy Council awards. A few short weeks later he wrote his name into record books by running 30miles on Saturday 12th October at Walton-on-Thames, track near London in 2hours 44minutes and 47 seconds. This record stood for four years and was eventually broken by a New Zealander. He was invited to this race by the “Road Runner’s Club.” Running on a track (world athletic records are only recognized for track performances) against a high-class field, he soon established a big lead over his opponents. From that point on his race was against the clock. He beat his closest followers by over four minutes, and he beat the existing world record by 2minutes and 47 seconds. I’ve done it”. I think it is something that you never imagine that you’re the fastest of all time at this distance. My immediate reaction was, is there anything more to achieve? In September be won the Berne International race. What singular dedication is required to face out night after night on the same out-and-back course along narrow unlighted roads hemmed in by stonewalls and hazel hedgerows. Perhaps, as he runs, he calls to mind the outstanding sportsmen who emerged from this Corrib hinterland – Tom Hynes, national cross country and marathon champion in the early years of the century, Cummin Clancy A.A.A., discus champion and Irish record holder before Phil Conway and Matt Hynes Olympic silver medal winner in the tug-o-war with the London Police. The turn-about point is about six miles from home and he retraces his steps in the direction of the lake, forever piling on the pace and now and then stretching to maximum efforts of one or two minutes duration. Molloy had to pay his return trip expenses to Dublin and his overnight costs there every time he was chosen to represent Ireland in International competition. On one occasion he returned by post travelling expenses pressed upon him by the organizers of an open road race in Mayo. It is not widely known either that he has had to battle over the years against a marked deficiency in blood hemoglobin, which affects the oxygen supply to the working muscles and a highly significant factor in distance running performance. Despite varied treatments since 1969 the level has remained at only 80% of normal capacity. Perhaps it’s the most remarkable aspect of the man that he has achieved such high quality performances with such shortcomings in oxygen supply. It probably explains his indifferent cross-country and track record since the sixties and his relatively better performances on hot days rather than cold days. The great pity is that the country lacks a sports medical service, which might diagnose and treat such a condition. Mick Molloy, Frank Kyne, Jack Fahy, Johnny O Connor, Pat Mc Gauley, Derrymoyle Jim Joe Clancy and cyclists Peter Walsh and Tom Kelly founded the club in the early 70’s. During this period there were other athletes in Oughterard who participated in various sports such as Murt and Christy Molloy, Martin Oliver Mc Evilly, Frank Kyne, Nicholas Byrne, Matt Molloy and weight throwers, Peter Walsh and Jackie Geoghegan. The club was affiliated to the N.A.C.A. (National Athletic and Cyclists Association). The annual Sports Day was held in Lemonfield. A Cross-country Championship was held in Byrnes fields in Claremount. The gaps were knocked between adjoining fields to facilitate the runners. To conclude this profile of a man who has become part of his country’s folklore while still in his prime it seems apt to mention his unselfish work for the juvenile athletes of Oughterard. He has driven them to meetings throughout Connacht, organised sports meetings and Community games and represented his club in the administration of the County Athletic Board. Since leaving Derrydonnell A.C. in 1964 he has given the Oughterard area a sense of pride in its athletic heritage and a close identity with Mick’s many successes here and abroad, but, perhaps more than anything he has shown all of us the heights to which one person can aspire when equipped only with resources of his body and mind and an indomitable will to succeed. Collated by Mary Kyne from interviews and articles written on Mick in the 90’s. Just sitting in the Western Bar in Prospect Hill Galway having a cup of coffeea and watching highlight to from yesterday’s Olympics and Mike Molly passed by. It was to explain to a local Galway man who Mike was and all his achievements . 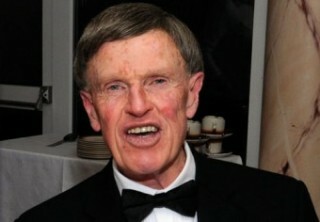 A true legend and a mild mannered Oughterard man. A VERY interesting feature on Mick whom, as a 20 y.o. boy, I finished second to in the 1971 Nos Galan 40 miles track race in Cardiff. If you are still alive Mick I send you my very best wishes!